Tulalip − From warm up to the last point, Tulalip Heritage Hawks could not be stopped at the Northwest 1B season opener against Cedar Park Christian/Mountlake Terrace Lions, winning 64-50. The Hawks flew into action, scoring first and maintaining a solid five point lead throughout the game, never slowing down, executing each play with precision. On the rebound or steal, the Hawks led the charge up and down the court. Head coach Marlin Fryberg Jr. said, “This is a great start to the season. We played against this team last year three times and they beat us each time. In practice, the emphasis was to open the season real strong and show them and the other teams how Tulalip will play this year. 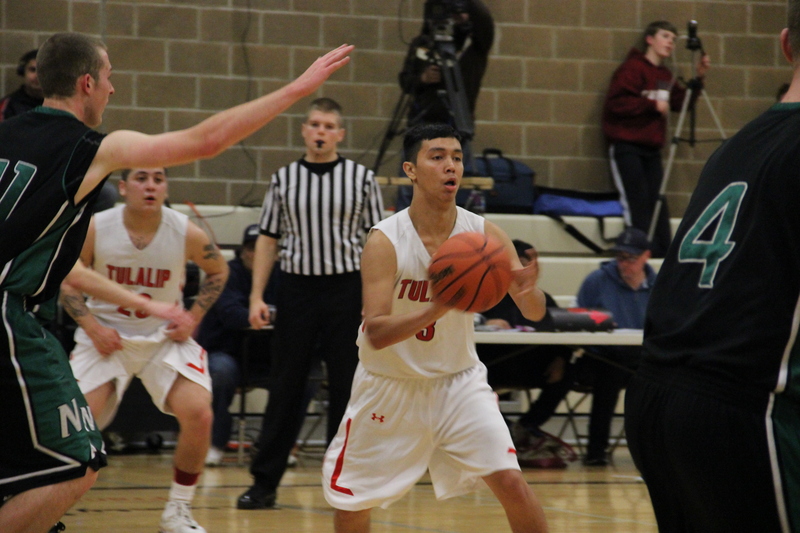 A steal with a smile, Dontae Jones regains the ball for Tulalip. Dontae Jones, known for his quick feet, moved low and fast dodging many Lions players, flashing a smile as he breezed by. Brandon Jones and Shawn Sanchey with the rebound wasted no time getting to the hoop. All players proved to be strong shooters, with Payton Comenote sinking three pointers throughout the game. The MVP of the evening, though, was sophomore Robert Miles Jr. 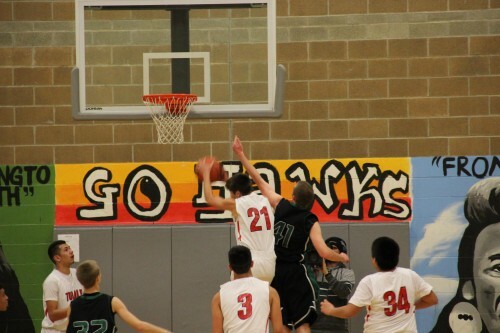 He scored 24 points for the Hawks, with 16 rebounds and four steals. According to Fryberg, the goal this year is to return to the state championships, and to win. 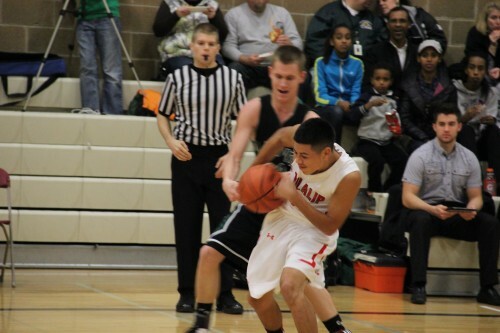 This entry was posted in Sports, Tulalip News and tagged Tulalip Basketball, Tulalip Heritage Hawks by admin. Bookmark the permalink.